This Judgment is a clear deviance from well established precedents. A two-Judge Bench of the Supreme Court has recently upheld the conviction of an accused for Dacoity with Murder under Section 396 of Indian Penal Code. 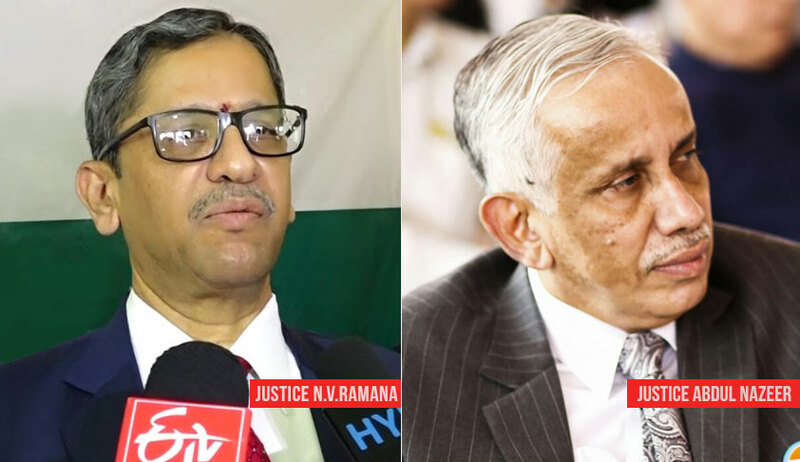 Contrary to the binding precedents the Bench has extensively relied on a confessional statement of Accused produced by Police to prove the recovery of some incriminating articles under Section 27 of Indian Evidence Act to find the accused guilty. The Bench comprising Justices N.V Ramana and Abdul Nazeer was hearing an appeal filed by one Raju Manjhi against the Judgment of Patna High Court, whereby the High Court dismissed the appeal filed by the accused-appellant herein and upheld the order of conviction and sentence passed by the learned Additional District & Sessions Judge, Gaya. At the trial, the prosecution in support of its case examined as many as eleven witnesses. Relying upon the incriminating material as well as depositions and confessional statements of the accused, the trial Court came to the conclusion that the prosecution could prove the guilt of the accused beyond reasonable doubt. Accordingly, the trial Court convicted the accused for the offence punishable under Section 396, IPC and sentenced them to suffer rigorous imprisonment for life and also to pay a fine of Rs.1,000/each, failing which to further suffer rigorous imprisonment for a period of six months. Before the Supreme Court, the accused was represented by a Court appointed Counsel with the help of Legal Service Authority since the Counsel for the appellant remained absent. The Counsel for the Appellant submitted that even the alleged confessional statement of the appellant, cannot be given legal validity as it was not made before a Magistrate. Particularly when the trial Court itself expressed doubt on the genuineness of the confessional statement as the alleged confessional statements of other accused were also under the same handwriting and drawn by the police, they cannot be taken into account. On the other hand, the Counsel for the state submitted that the statement of confession recorded at the instance of the accused-appellant not only proves his guilt but also led to the discovery of new facts in the case. It helped the I.O. for the recovery of incriminating material and looted cash from his house. The accused-appellant had by participating in the crime, shared the looted articles and there is no bar to validate his confessional statement under the provisions of the Indian Evidence Act. It was also submitted on behalf of the appellant is that the so-called confessional statement of the appellant has no evidentiary value under law for the reason that it was extracted from the accused under duress by the police. In the case on hand, before looking at the confessional statement made by the accused-appellant in the light of Section 27 of the Evidence Act, may be taken into fold for limited purposes. From the aforesaid statement of the appellant, it is clear that he had explained the way in which the accused committed the crime and shared the spoils. He disclosed the fact that Munna Manjhi was the Chief/Head of 12 the team of assailants and the crime was executed as per the plan made by him. It is also came into light by his confession that the accused broke the doors of the house of informant with the aid of heavy stones and assaulted the inmates with pieces of wood (sticks). He [Accused] categorically stated that he and Rampati Manjhi were guarding at the outside while other accused were committing the theft. The recoveries of used polythene pouches of wine, money, clothes, chains and bangle were all made at the disclosure by the accused which corroborates his confessional statement and proves his guilt. Therefore, the confessional statement of the appellant stands and satisfies the test of Section 27 of the Evidence Act. It is evident from the confessional statement of the accused that at the time of occurrence he and another accused Rampati Manjhi were guarding outside the informant's house while other accused were committing dacoity inside. We do not think that there is any justification to the argument that as none of the prosecution witnesses could be able to identify the appellant, he cannot be termed as accused. In our view, such non-identification would not be fatal to the prosecution case in the given facts and circumstances”. Upholding the conviction, the bench also rejected other arguments with respect to test identification parade and lack of motive. Under the scheme of Indian Evidence Act, confession of Accused before a police officer is not admissible in a Criminal Trial. Sections 25 and 26 of Indian Evidence Act impose a complete ban on the admissibility of any confession made by an accused either to the police or to any one while the accused is in police custody. That ban was presumably inspired by the fear of the legislature that a person under police influence might be induced to confess by the exercise of undue pressure. Section 27 is a proviso to Section 26 and makes admissible so much of the statement of the accused which leads to the discovery of a fact deposed to by him and connected with the crime, irrespective of the question whether it is confessional or otherwise. Supreme Court has consistently held that only those part of the statement which leads to the discovery of fact alone are admissible in evidence. In this case the Court has relied on the entire confession statement of accused and convicted the accused. This Judgment is thus a clear deviance from established precedents.